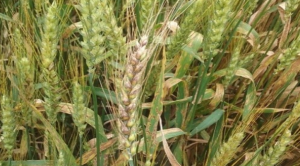 Each year our national wheat disease working group (NCERA-184) works collaboratively to update the wheat fungicide efficacy table. 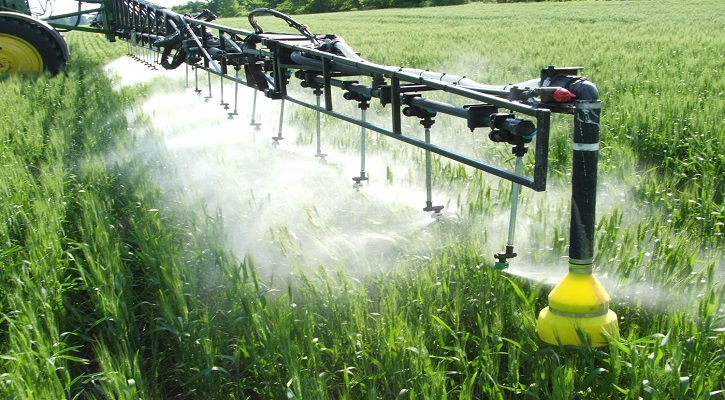 We utilize data from our field trials to generate overall fungicide efficacy ratings for major diseases impacting wheat. Click this link or the image to the right to download a PDF of the 2018 sheet. 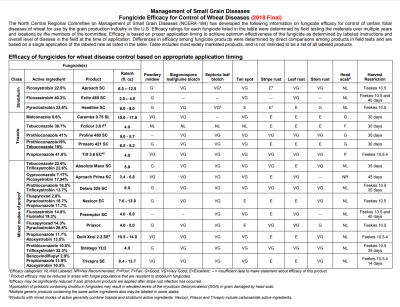 The sheet can also be accessed on this webpage under the Small Grains tab and within the Fungicide Resources section. 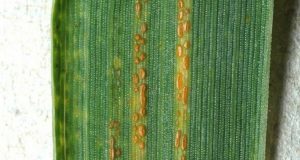 Remember, always follow the label, and implement an integrated pest management program for managing common diseases in small grains.